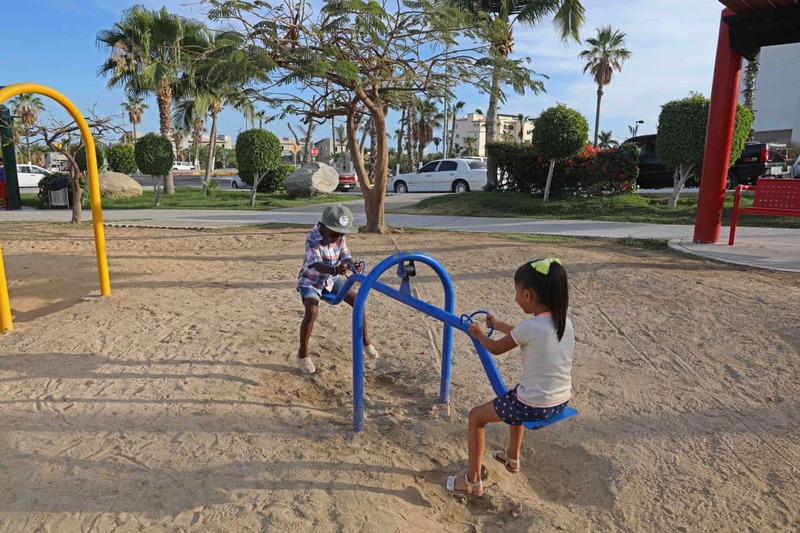 Visiting Cabos San Lucas with kids has been on my list. Every year since Aiden was 3 years old, we have gone on a Mom and Son “Mother’s Day Trip”. 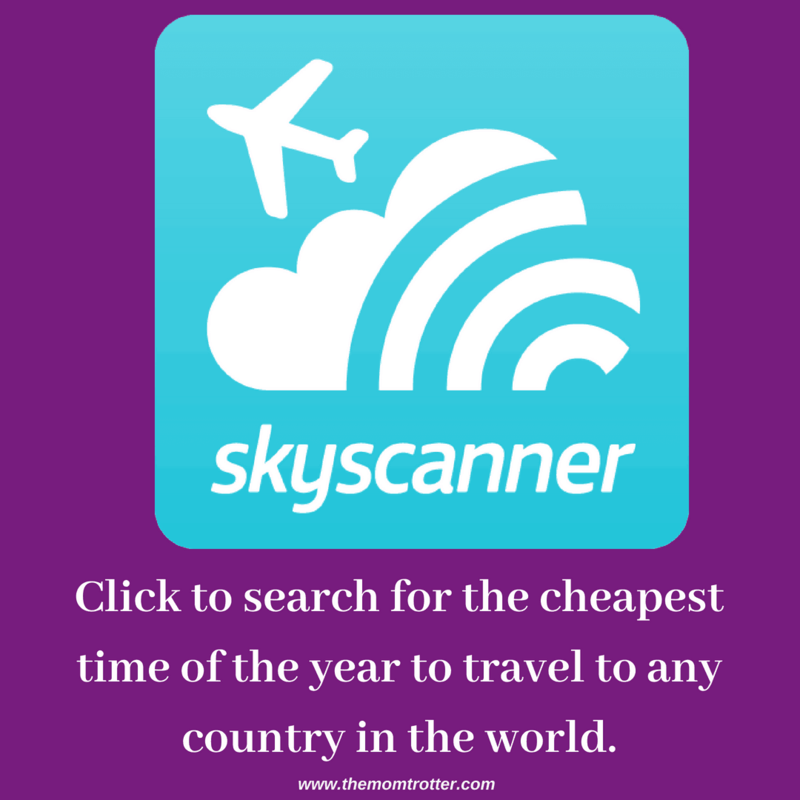 This year I picked Los Cabos / Cabo San Lucas after I got a notification for an airfare sale. I also booked the Hyatt Ziva Los Cabos which is a kid friendly hotel in Cabos San Lucas after reading great reviews about the property. I was very excited about taking this trip with Aiden, probably even more excited than him. Aiden is such an amazing little boy, and I am truly blessed to be his mother. He is so easy going, easy to travel with and adapts to whatever comes his way. 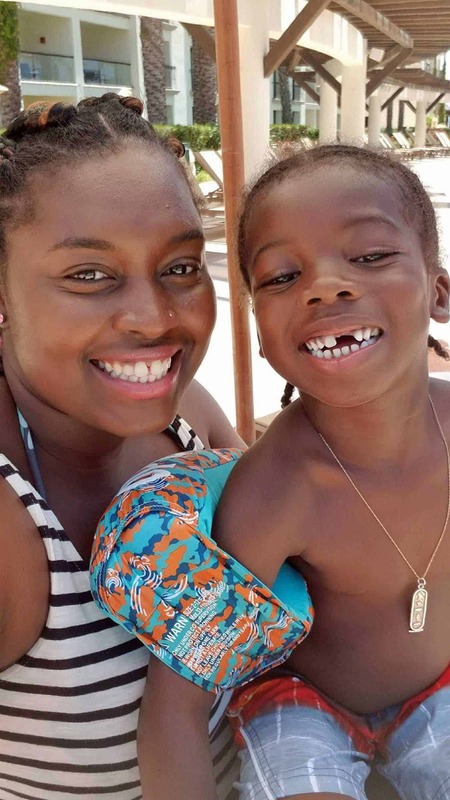 Don’t get me wrong, he can also be a typical five-year-old, and challenges what I have to say sometimes. But overall, he lights up my life! 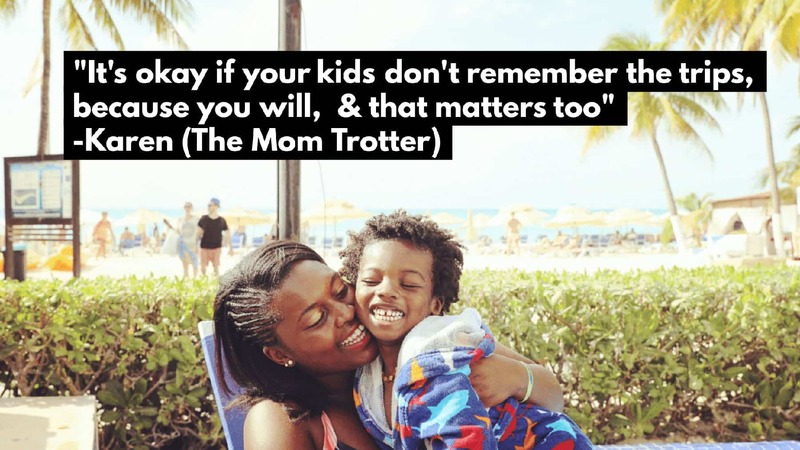 And our Mommy and Son trips are so dear to my heart. 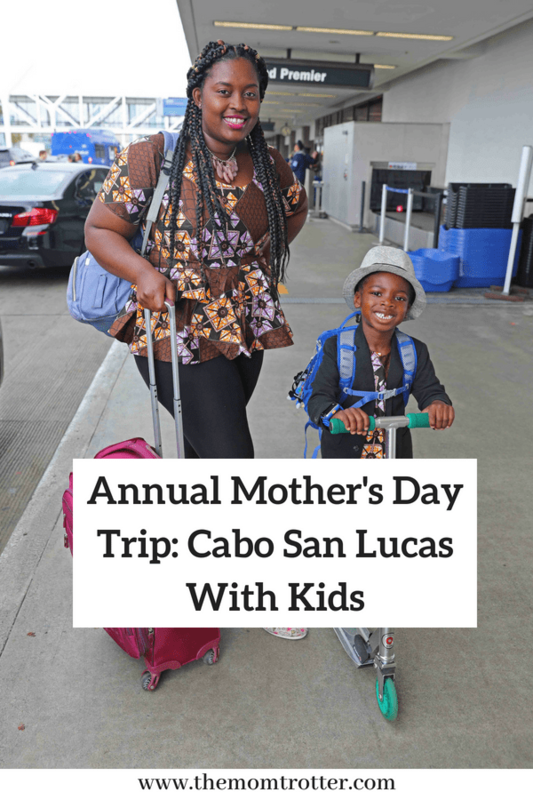 We traveled to Los Cabos on Mother’s Day, which is in May. Los Cabos is located at the southern tip of Baja Mexico, and is used when referring to Cabo San Lucas and San Jose Del Cabo. Both towns are about 30 minutes away from each other. What’s a Mothers Day Trip without matching outfits? 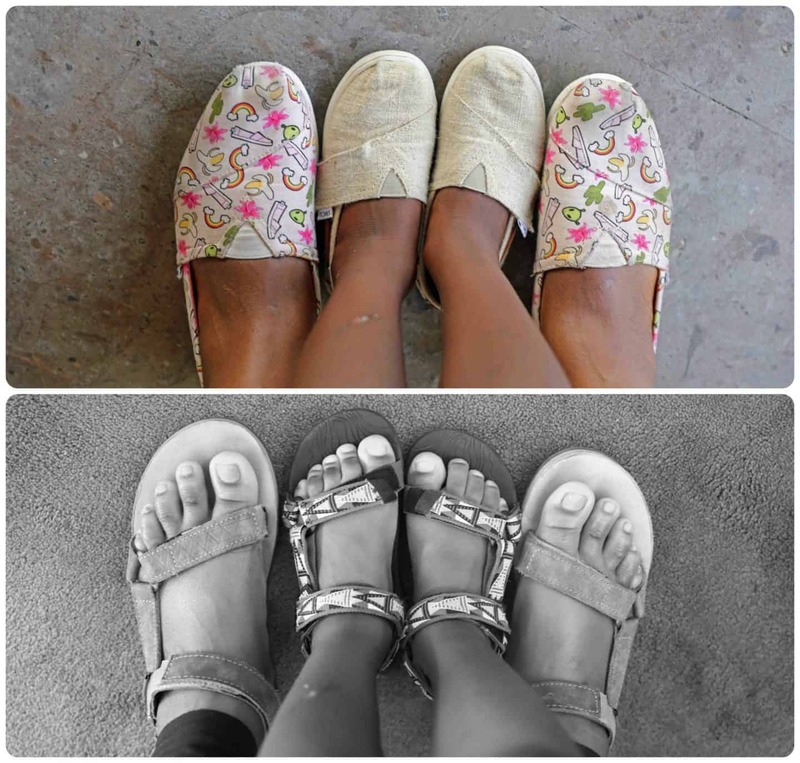 We wore matching tops that we purchased while on our trip to Cameroon last year, black bottoms and our Toms shoes [My Toms / His Toms]. I packed a carry on luggage with all we were going to need for 3 days. Aiden was excited about flying with his scooter as always, and his cool watch. 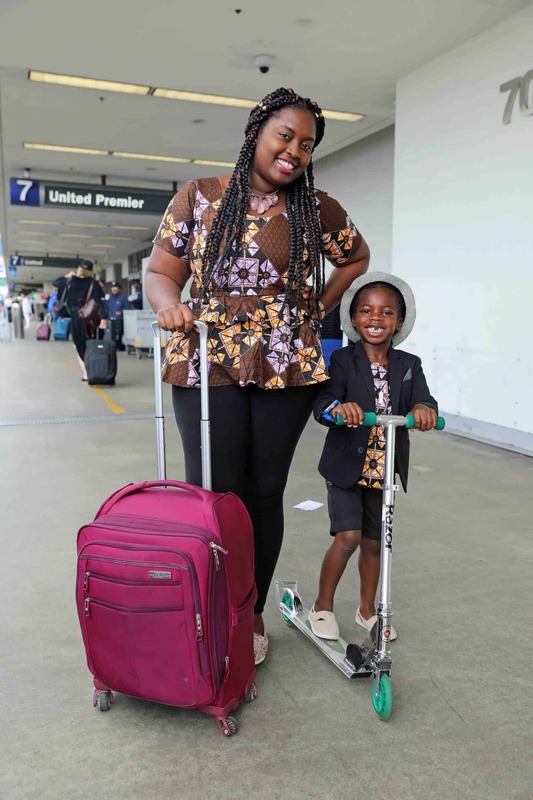 He loves riding that scooter around the airport. I checked the forecast the day before we traveled like I always do, and the weather was predicted to be in the high 80’s. The weather was cold a few days before our trip, and it even rained the day we flew to Los Cabos, so I was anxiously looking forward to the hot weather. As corny as this is, I packed matching outfits for Aiden and I throughout our trip. He really liked that we were matching, and I liked it too. I definitely didn’t go shopping for this. I was able to find outfits that we both had in similar colors. I packed all our clothes in packing cubes and then put the packing cubes in my Samsonite carry on luggage. I only packed packed two pairs of shoes for us. I am very particular about the brands of shoes we wear because we do quite a bit of walking when we travel. My goal is to ensure that our feet are comfortable at all times. My husband also owns a pair of both shoes. I got an email notification about a drop in flight prices to Los Cabos from LAX. That is the main reason why we traveled there for Mother’s Day. Our tickets cost $180 each on United Airlines and because I had a travel voucher, it covered our flights, so we didn’t need to pay anything. Yay! Pro Tip: I usually surprise Aiden with a new toy when we travel. I don’t show it to him until we are seated on the plane and ready for take off. His excitement with a new toy is enough to keep him busy for most of the flight usually. 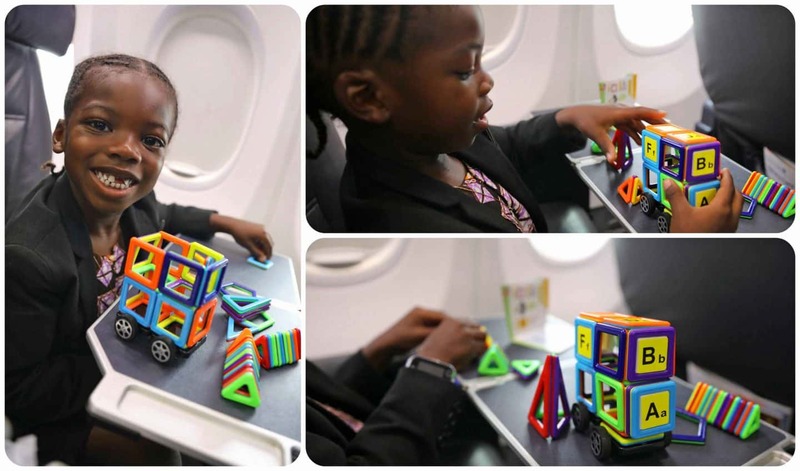 This set of Magnetic Building Blocks are perfect for travel as they are mini’s, so it is easy to carry around. In addition to our upgrade, we also got lounge access and visited the United Lounge in the Houston Airport. Aiden grabbed some snacks while I had a glass of wine. As you can see, there’s a bar in the background of the photo. 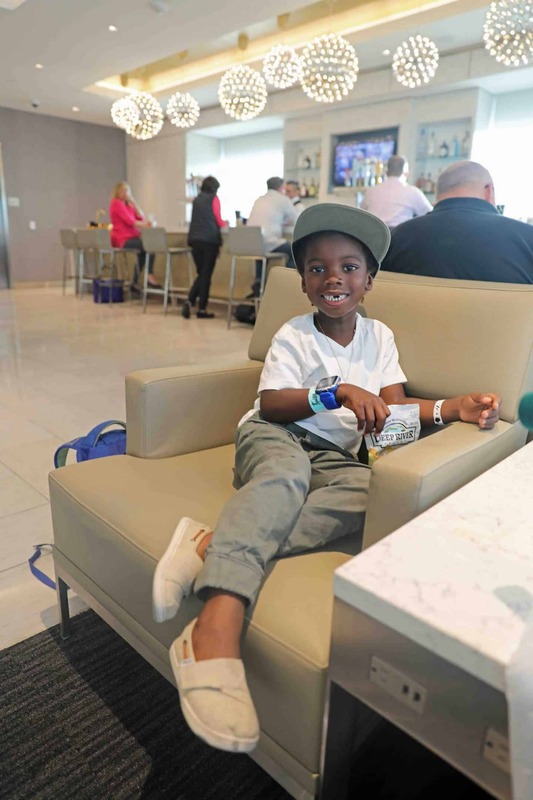 We love taking advantage of the lounge during our layovers, to rest, recharge, eat and drink. 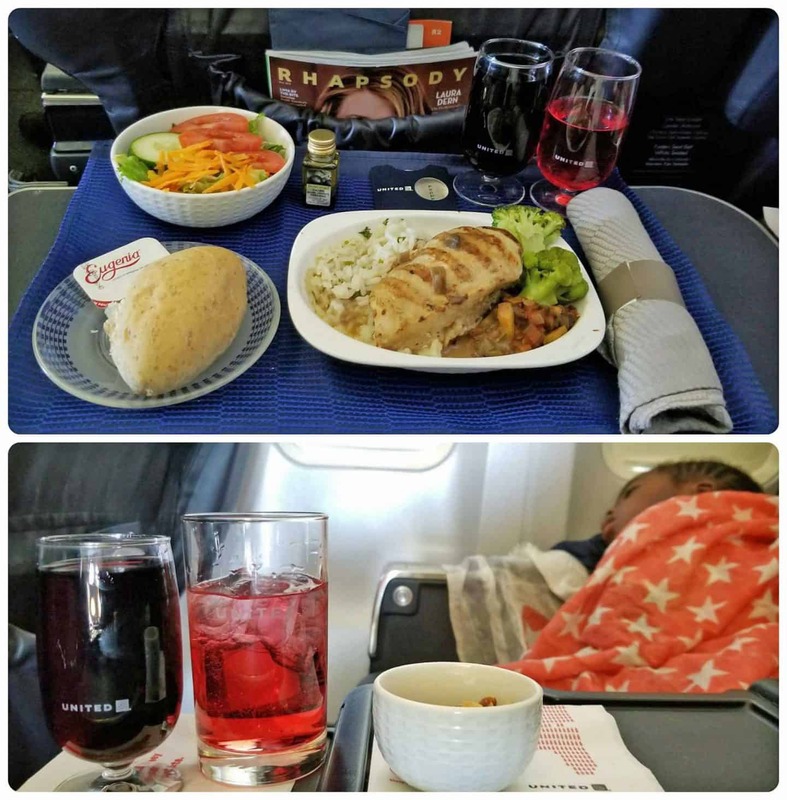 In case you’re wondering, a travel voucher or travel certificate is usually offered as compensation for giving up your seat on a flight, or when you have flight issues that warrants a credit. I had an issue on a flight a while back and United gave me a travel voucher for my troubles so that is what I used to pay for this trip. 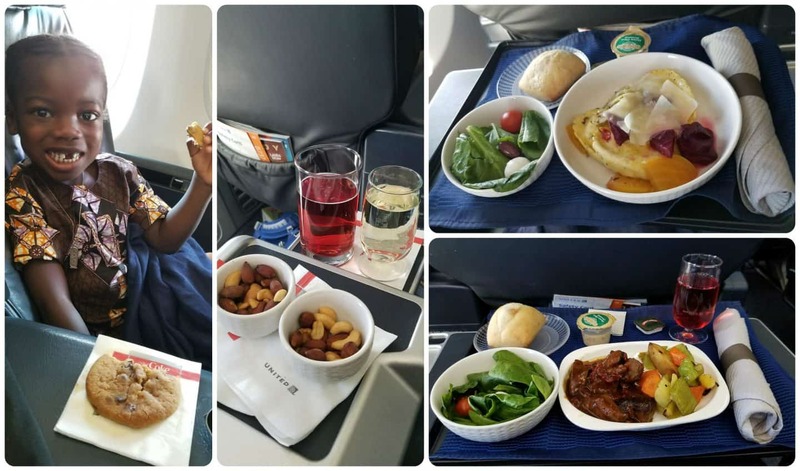 I have also gotten travel vouchers by giving up my seat on a flight that was overbooked and taking another flight. If you plan to venture of the resort like we did, then I suggest you reserve a rental car. If you’ve rented a car in Mexico, then you must be familiar with how the tricky the price can be. They show you an advertised rate online and then when you get there, the amount is almost twice as much. 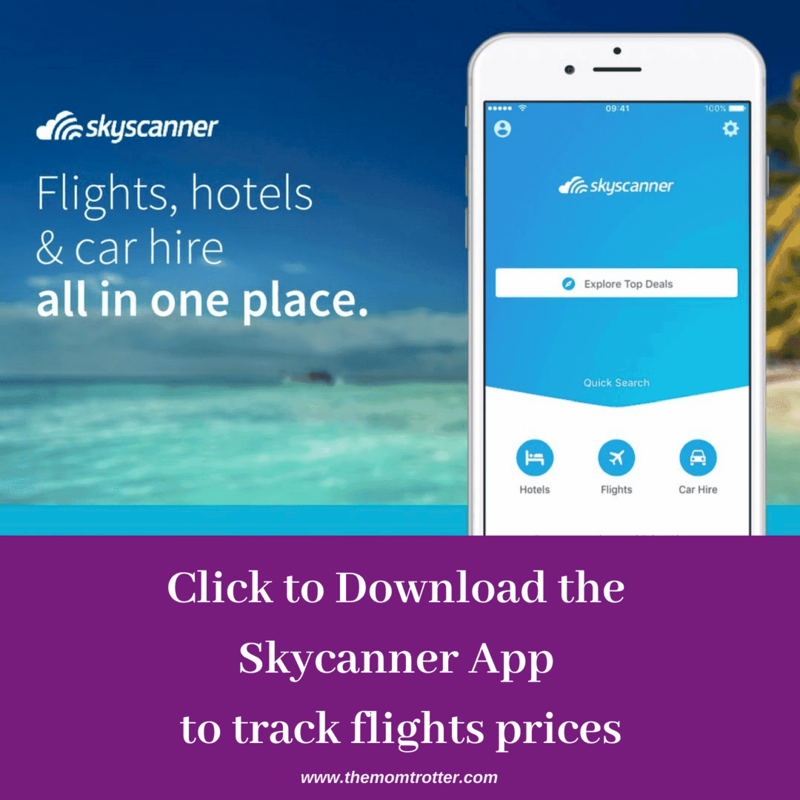 This is because of the Mexican insurance which is usually mandatory, and not included in the price of the car rental you see online. 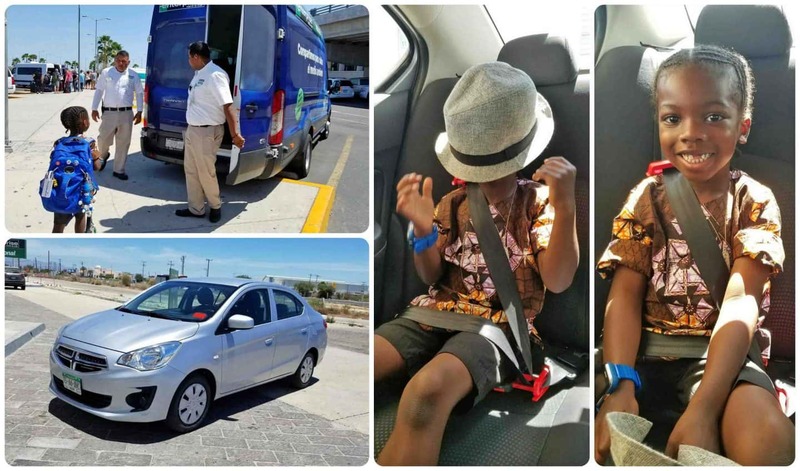 We encountered similar in Puerto Vallarta and we were shocked as it was our first time renting a car in Mexico. What we paid for the rental was much more than the amount I reserved the car for online. After our last rental experience, I decided not to reserve a rental car before our trip. As I was heading out of the airport, I stopped at the National Car Rental counter which is by the baggage claim area and the guy offered me a flat rate of $75 for 3 days which I gladly took. He wrote it down on a piece of paper and asked me to show it to any of the National Car Rental reps at the car pick up location, and they would honor it. I picked National Car Rental because that is the only car rental company we rent with and we have never had any issues. Because I didn’t plan for us to do a lot of driving, I took Aiden’s Mifold Booster Seat instead of his EvenFlo Maestro 5 point harnessed car seat. It is small and lightweight and fit easily in my back. I highly recommend it. 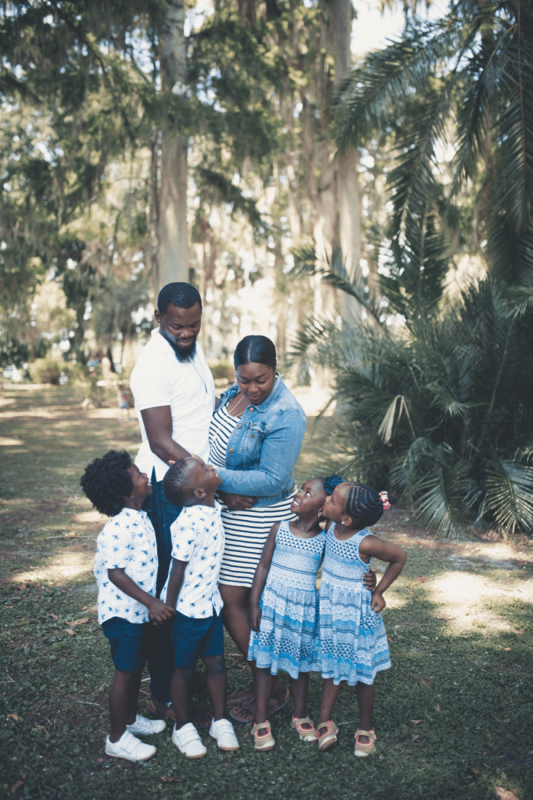 [Related: How To Fly With A Car Seat: Everything You Need To Know] If you do plan on staying at your hotel or resort for your entire trip, then you should book a shuttle service prior to arriving Los Cabos or you can book one at the airport when you arrive. There are private and group shuttles. The private shuttle is more expensive, but it’ll be just your family and the group shuttle is cheaper, but will carry other people. 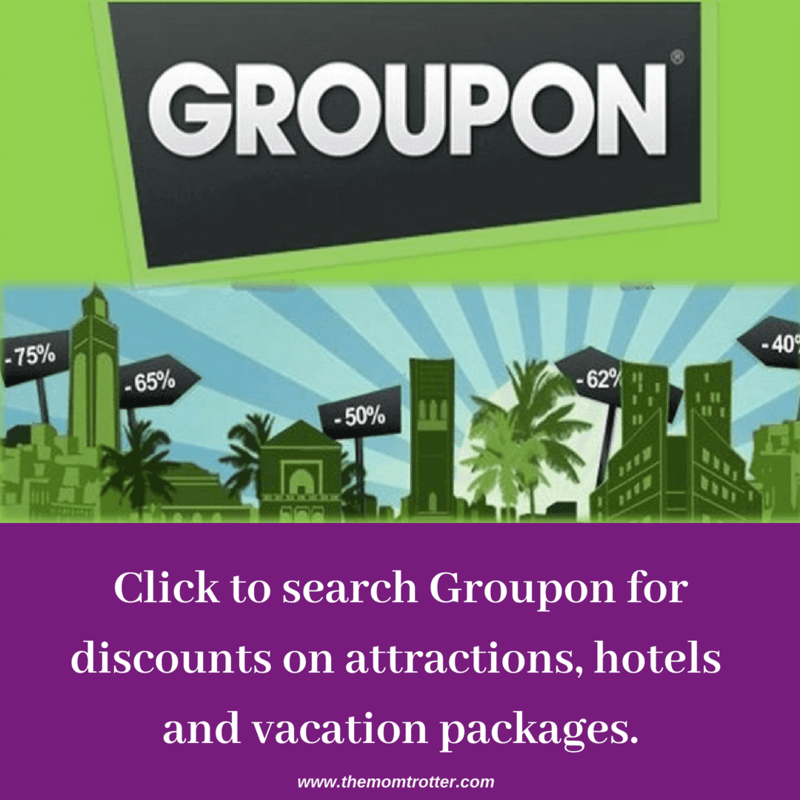 There are so many hotels, resorts and Airbnb’s in Los Cabos to choose from. 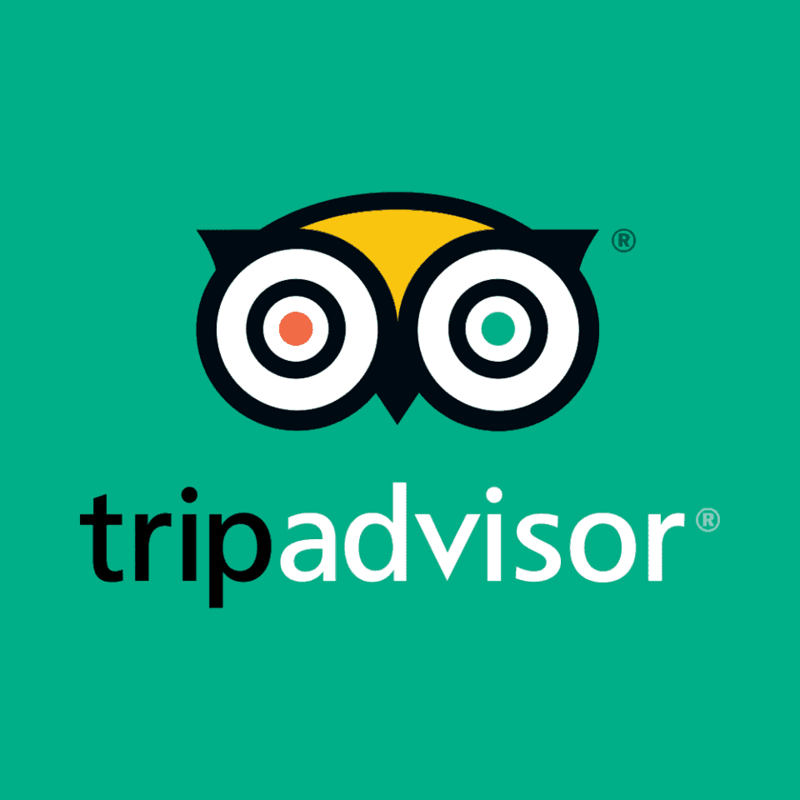 I am super last minute when it comes to our travel plans and booked this hotel after our flight landed at the Cabo San Lucas International Airport. I wasn’t sure if I wanted us to stay in a hotel and just relax, or if I wanted to us to stay in an AirBnB and explore the city. After we landed, I asked Aiden what his preference was, and he said hotel. I immediately went on Priceline and crossed my fingers that the price hadn’t changed. I put in a really low bid for a hotel in the Cabo San Lucas area and my bid was denied. When your bid is denied Priceline shows other hotel options with even lower prices. I clicked on one of them, and the price dropped even more again. I figured it must be my lucky day and immediately booked the Hyatt Ziva Los Cabos which is located in Cabo San Lucas for 3 nights. 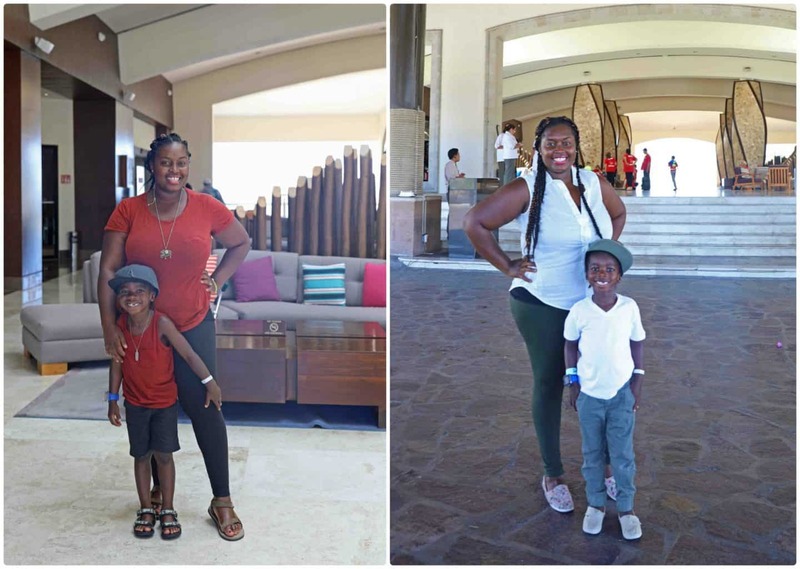 The Hyatt Ziva Los Cabos is the first all-inclusive resort that Aiden and I have ever stayed at. When we got to the hotel, it seemed quiet. It was a Sunday, so lots of families were checking out and leaving, but other families were also checking in including myself. I much prefer to travel during when it’s less busy because we have the opportunity experience everything without feeling rushed. 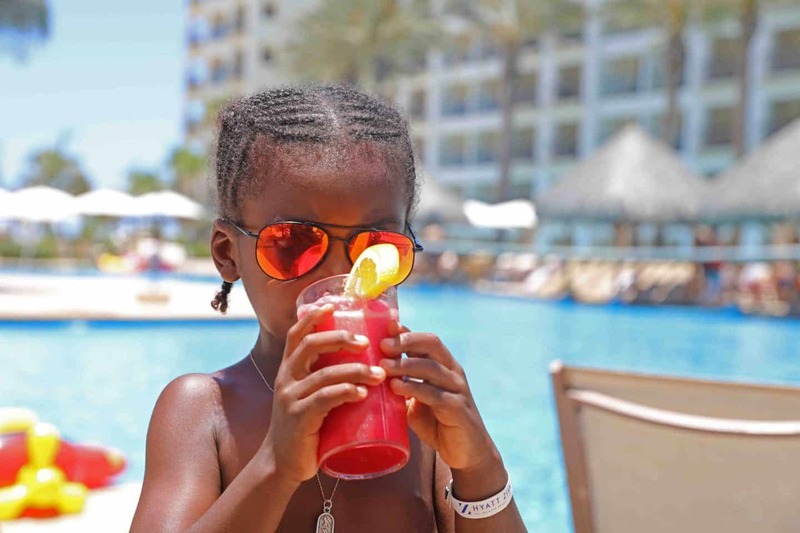 The Hyatt Ziva Los Cabos is a very kid friendly hotel with a kid’s pool, kids club, nightly shows, kids entertainment and kid friendly menus at all the restaurants. Aiden and I had a blast at this hotel. 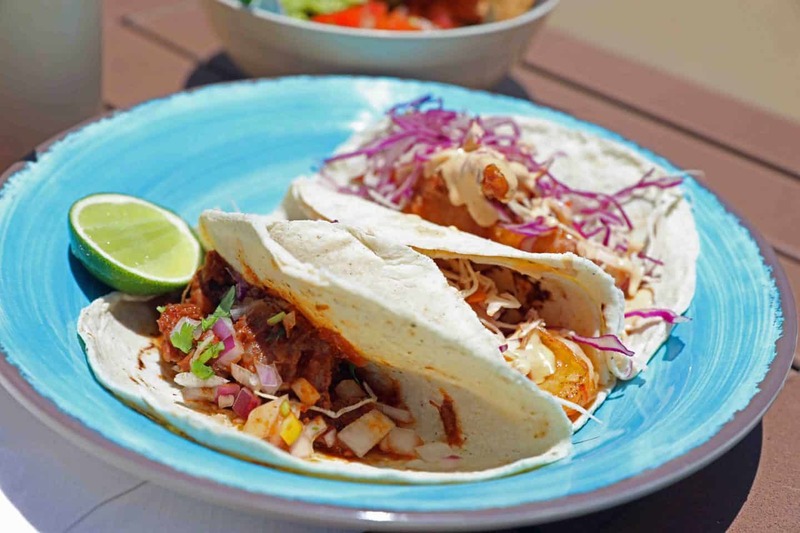 We spent lots of time just hanging out and relaxing in the sun, meeting new people, swimming and trying out the restaurants on the property, most of all eating tacos by the pool. The endless supply of pool-side tacos and cocktails were one of the highlights of our trip. Aiden also enjoyed riding his scooter around the resort. After a whole day at the resort, Aiden was itching to get out do something. I found a park nearby, so I took him there to play. It was so nice to watch him communicate and play with the other kids even though they spoke Spanish and he spoke English. Reminded me of the quote by Louise Hart; “Play is a universal language.” It really is, because even though the kids didn’t speak the same language, they were able to play together, understand each other and have a great time. Swimming with the Dolphins in Cabo San Lucas was not on our to do list. Aiden overheard another kid that he met at the resort raving about how much fun she had and asked me if he could do it too. I thought long and hard about this, and about the decision to let him experience this. I was worried about the dolphins and wondered if they were treated well. On our trip to Thailand two years ago, we opted out of riding elephants because we knew how unethical it was. 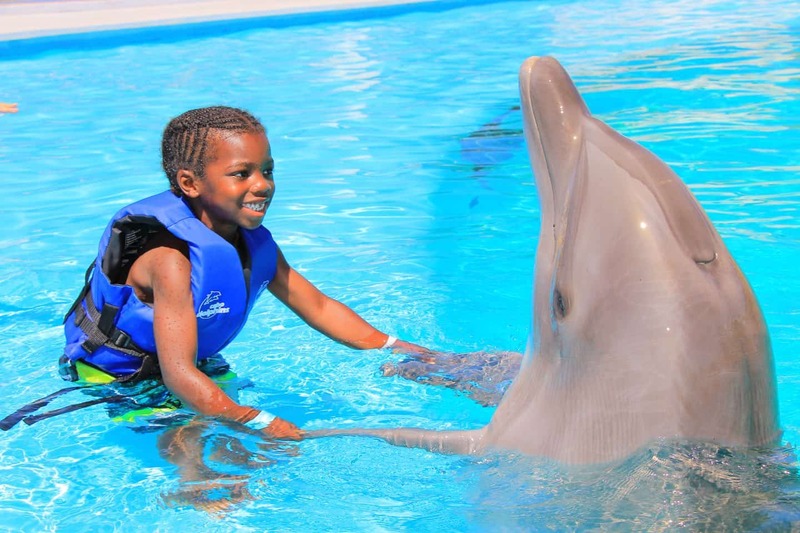 I was also worried about the ethical aspect of allowing him to swim with the dolphins. I thought about this long and hard, as well as did some research on it and made the decision to allow him to experience this. He was over the moon excited as you can see from the photos below. 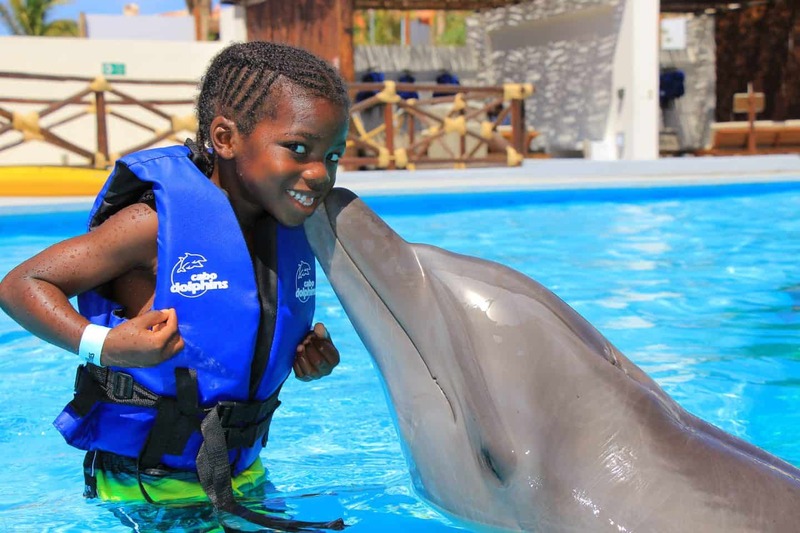 He was able to experience something that I have never experienced; being up close with a dolphin, touching a dolphin and just learning about dolphins in general. 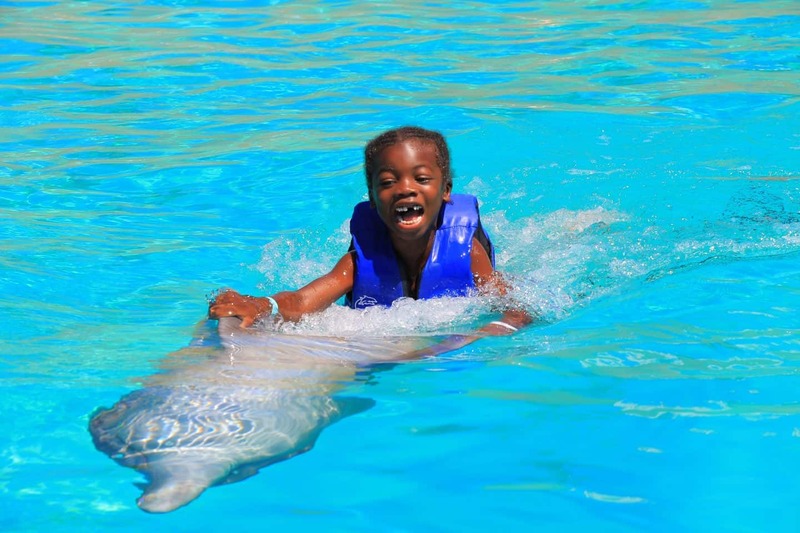 Cabo Dolphins has a program called Dolphin Kids where the kids can swim with the dolphins without an adult. Don’t change your dollars or pesos at the airport currency exchange counter. The exchange the rate is terrible! If you need to, just use your debit card at the ATM to take some money out or change it before you travel. 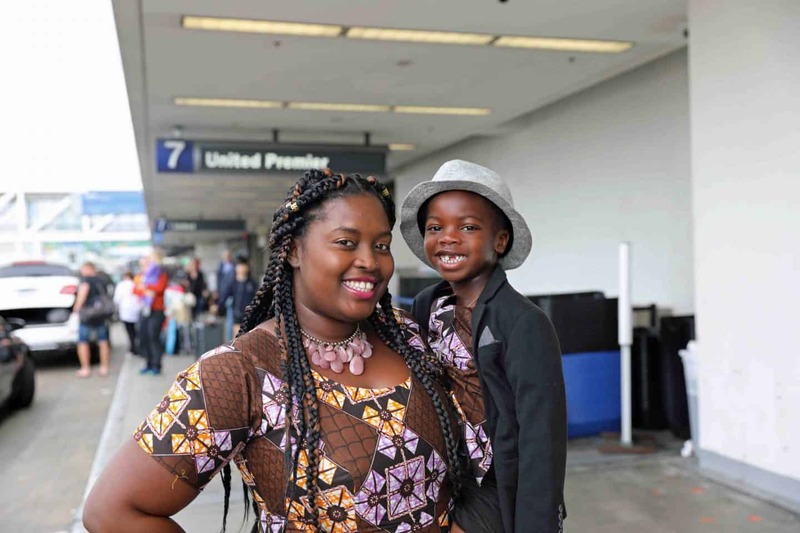 Make sure you let your bank know that you will be using your card out of the country before your trip so that your account doesn’t get flagged for fraudulent charges. Make sure you have cash on you before you leave the airport. 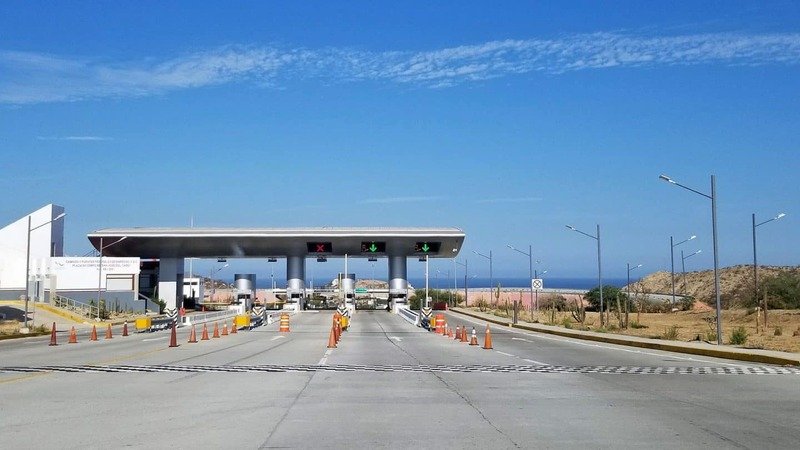 You will have to pay a toll fee on your way to your hotel / resort and on your way back to the airport. They take dollars, so if you don’t have pesos, that’s okay. I paid $2 on my way to Hyat Ziva Los Cabos and about the same on my way back to the airport. I usually don’t carry cash and this caught me by surprise as it was our first time in Cabo. Luckily I found some change in my backpack. 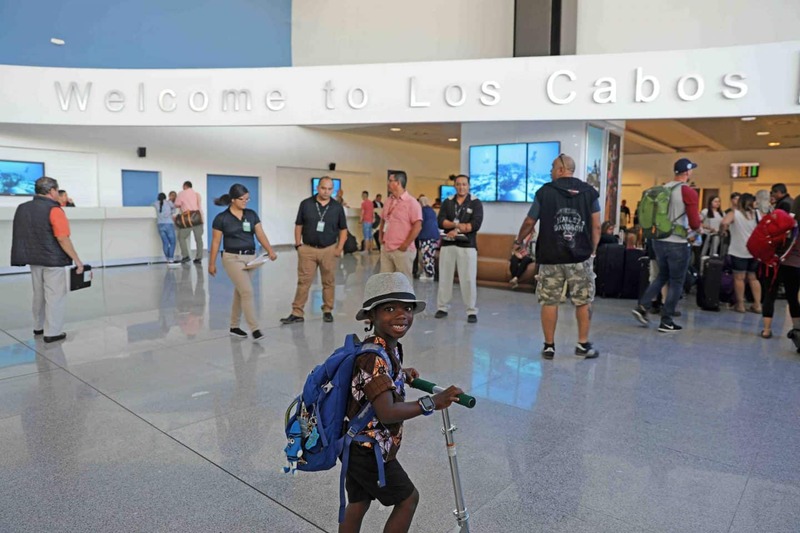 There are lots of things that the Cabo San Lucas airport security prohibits passengers from carrying past the TSA check point and on to the plane. One of the items on the list that surprised me was Tripod, if you have a Tripod you will have to check it in or else you won’t be able to go through security. Aiden had to check in his scooter and he was not happy about that. the gate agent tagged his scooter and then put it in a bag. The Cabo San Lucas airport security is pretty strange if I may say. Do NOT drink tap water in Mexico. Whatever you do, make sure that you and your kids drink bottle water at all times. 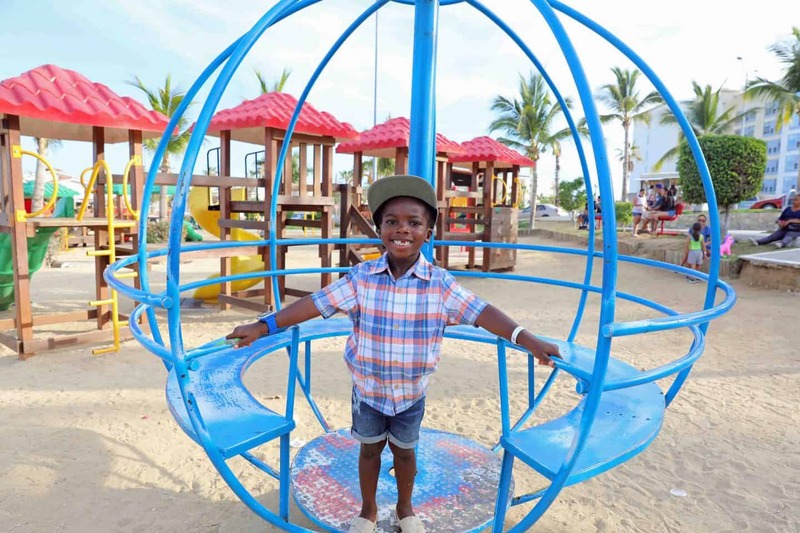 YES – I felt safe at all times, even when Aiden and I left the resort to go to the park and also when we left the resort to go for the dolphin encounter. I mentioned this because I know it is something people worry about; especially because of what the media has to say about Mexico. We have been to Mexico plenty of times and have always been and felt safe!